The transaction management of Warburg-HIH Invest includes all purchase and sales processes, along with the control and execution of the associated due diligence procedures (pre-acquisition and pre-sale audits). The successful implementation of the portfolio strategies is handled by our transaction managers who conduct both single deals and portfolio transactions. In addition, a dedicated in-house team of retail specialists covers the segment of retail real estate. 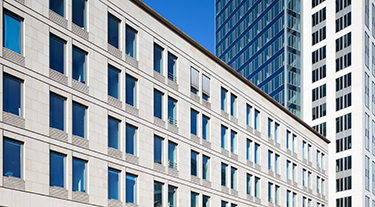 The investment focus of Warburg-HIH Invest is on office, retail, logistics and hotel real estate of the Core and Core Plus type in Germany and elsewhere in Europe. Note: Quotes subject to commission charges will not be considered by us.